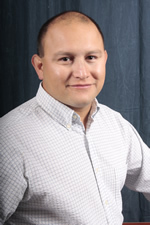 Cecilio has over 13 years of experience in GIS and joined us in July 2003. He manages and maintains various websites for the Alamo Area MPO and leads special multimedia and GIS intensive transportation planning projects. Cecilio participates and is instrumental in creating GIS related forums or committees to achieve synergy among our partner agencies in delivering visual solutions to our community. Wendy joined the Alamo Area MPO in June 2016. She earned an Associate of Science degree in Biological Sciences from Northwest Vista College and a Bachelor of Arts degree in Geography from The University of Texas at San Antonio. Wendy assists in the development of GIS-based maps and datasets that serve to strengthen the MPO’s transportation planning efforts. She enjoys and has volunteered for causes that help to preserve the environment and educate the community, such as Texas Recycle Day, Earth Day, Graffiti Wipe Out, and GIS Day. 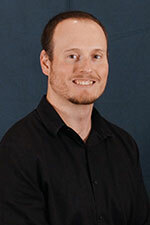 Clayton Elkins, a native of Houston, joined the Alamo Area MPO in June of 2008 as a GIS Analyst. 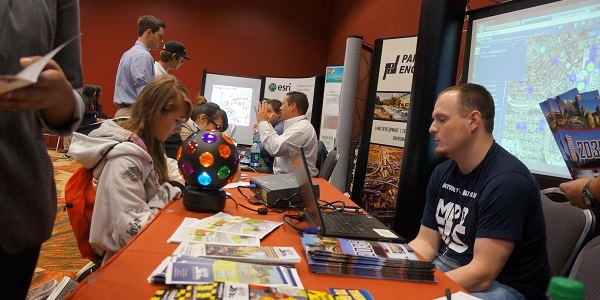 Clayton graduated from Texas A&M University at Corpus Christi in May of 2007, where he attained a Bachelor of Science degree in Geographic Information Science while serving as a GIS Intern for the Corpus Christi MPO. Clayton’s skillset has expanded as a member of the AAMPO team to include web development to complement his knowledge of GIS. Clayton is involved in many MPO functions, which include web development, maintaining GIS crash datasets, and facilitation at public meetings.